Are you planning a bathroom renovation and need to have your fixtures replaced? Did a pipe break and leak all over your kitchen? Do you want to insulate your water heater and pipes to improve efficiency, or not have to wait so long for hot water? 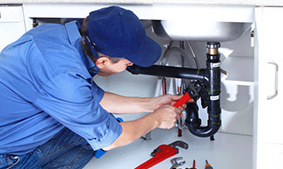 Contact us today for your plumbing needs. We can be there tomorrow, if you are in an emergency. Or you can schedule ahead for a day that is convenient for you. 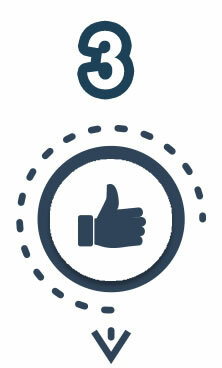 Our techs will be there to provide you with efficient and courteous service. 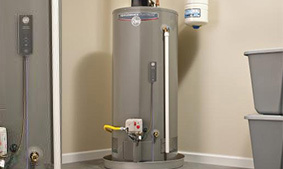 Problems with your water heater. They could be something very easy or they could be something much more complicated. But you know it is not in your area of expertise. Call us. We can send someone the next day to assess and repair or replace your water heater, efficiently, conveniently and at a fair price. A water softener will remove the mineral ions that are a nuisance, leaving residue and discoloration on and around your sink. 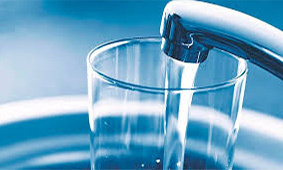 A water filter will remove most or all impurities, providing you with fresh, clean water for cleaning, showering and drinking. Call us to have the water conditioner of your choice installed. Let’s Refresh your kitchen with a brand new state of the art kitchen sink. Once you decide on what type of sink you’d like to install, Service MEDIX home services will remove the old sink and install the new sink. 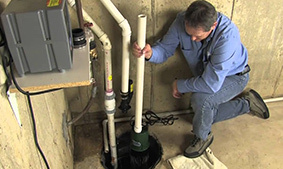 A sump pump is your homes last line of defense against basement flooding. If you’re sump pump need to be replaced, don’t wait another day. Service MEDIX home services is the one-call solution to replace your submersible or pedestal sump pump. Our plumbing techs can insulate your water heater and pipes to help you save on your water heating bill, as well as provide you with hot water on those chilly winter days. Call us today to schedule insulating your pipes and water heater. 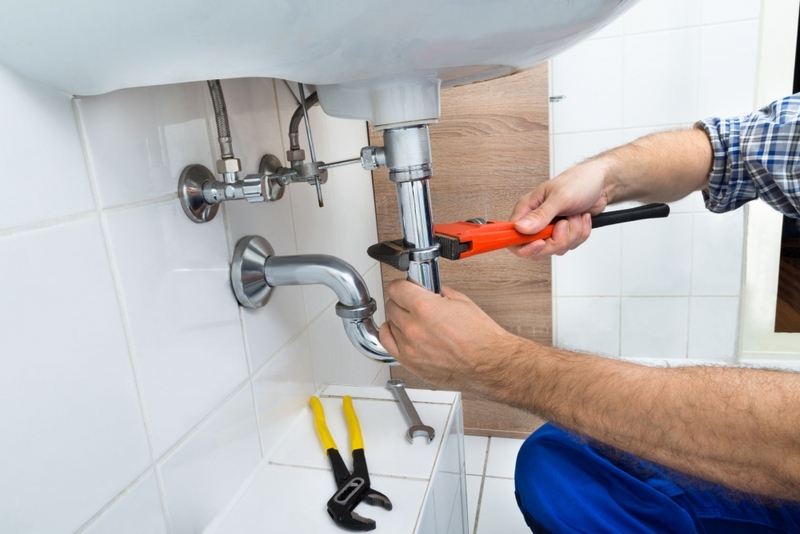 Despite their convenience, garbage disposals can have inconvenient problems: blades can get jammed, unpleasant smells can build up, leaks can develop, to name a few. And oftentimes these things happen before special times, like dinner parties or holiday gatherings. 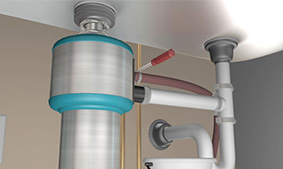 Call us any time to repair or replace your faulty garbage disposal. Everyone knows that minor plumbing leaks will not stay minor. Eventually, the water pressure will weaken the area more and more and the leak will grow bigger and bigger. 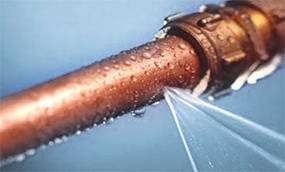 Catch the leaks when they are small, by contacting us. 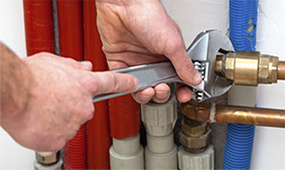 We will send our plumbing team to assess the problem and repair the leak or replace the plumbing. 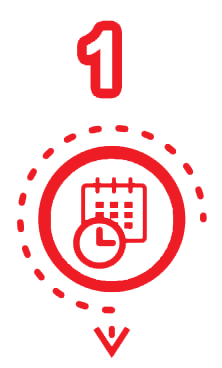 Call us, 1 (877) 70-MEDIX, for a free estimate (guaranteed to match or beat any competitors, by up to 10% less ). 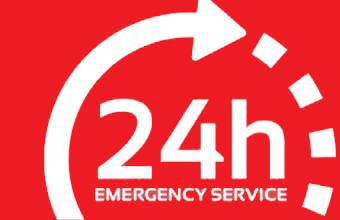 Emergency or Same Day service is available.